This soft fleece has a powerful attitude for getting thing done. The Crosstrek™ Hybrid Hoody, made from Patagonia's newest fleece fabric, provides next-to-skin comfort during extended movement, durability for season after season pursuits and stretch for the full range of active motion. Beautifully crafted from Polartec® Power Stretch® fleece, it has a smooth, flat outer face that slides under outer layers. A soft, napped inner surface traps warmth and wicks moisture to keep you dry. They covered the torso with a lightweight, 100% nylon ripstop fabric with a DWR (durable water repellent) finish that stretches, blocks wind and moisture, and dries quickly. Flat-seam stitching throughout reduces bulk and minimizes chafing under pack straps or harness. The cuff design lets you push the sleeves up your forearms for climbing and thumb loops hold the cuffs in place when you need additional warmth and comfort. 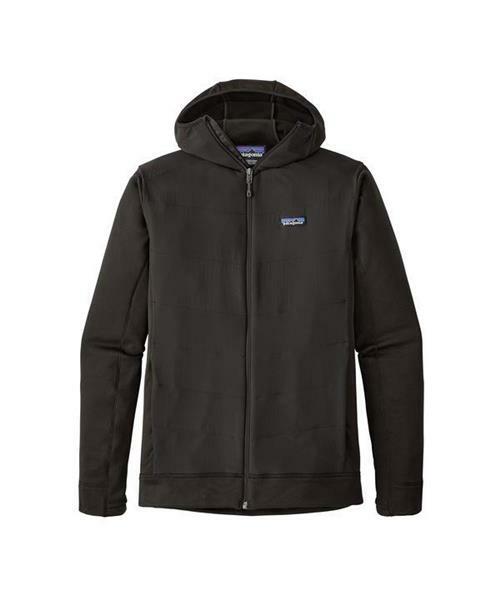 With two zippered pockets and a streamlined, helmet-compatible hood.